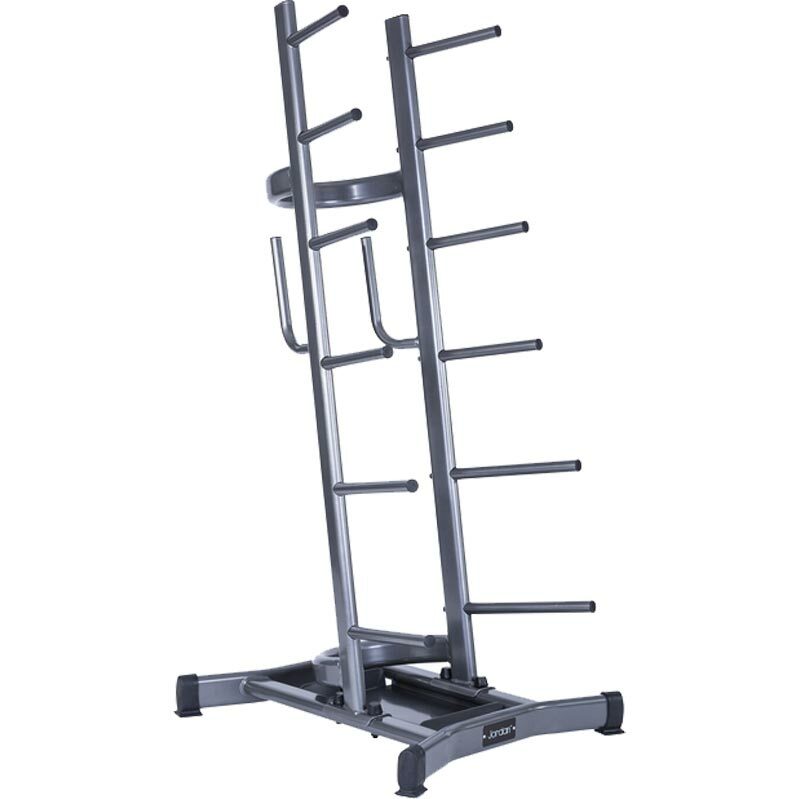 The Jordan ® Studio 12 Barbell Weight Rack will hold 12 pairs of Studio Barbell weights (to order separately). Dimensions: H1490mm x L638mm x D721mm. 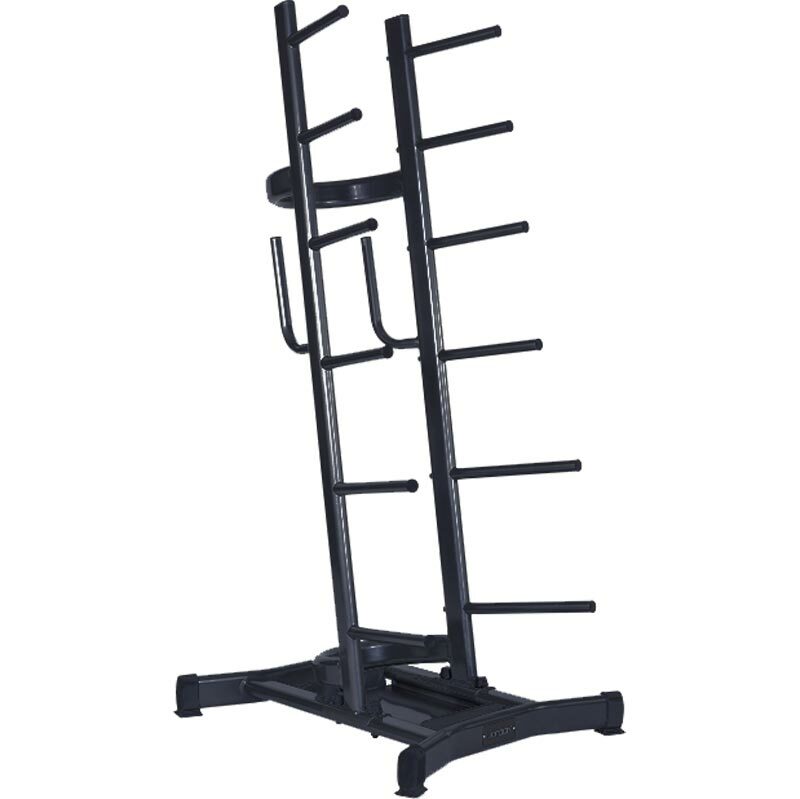 A static rack, sturdy and durable. 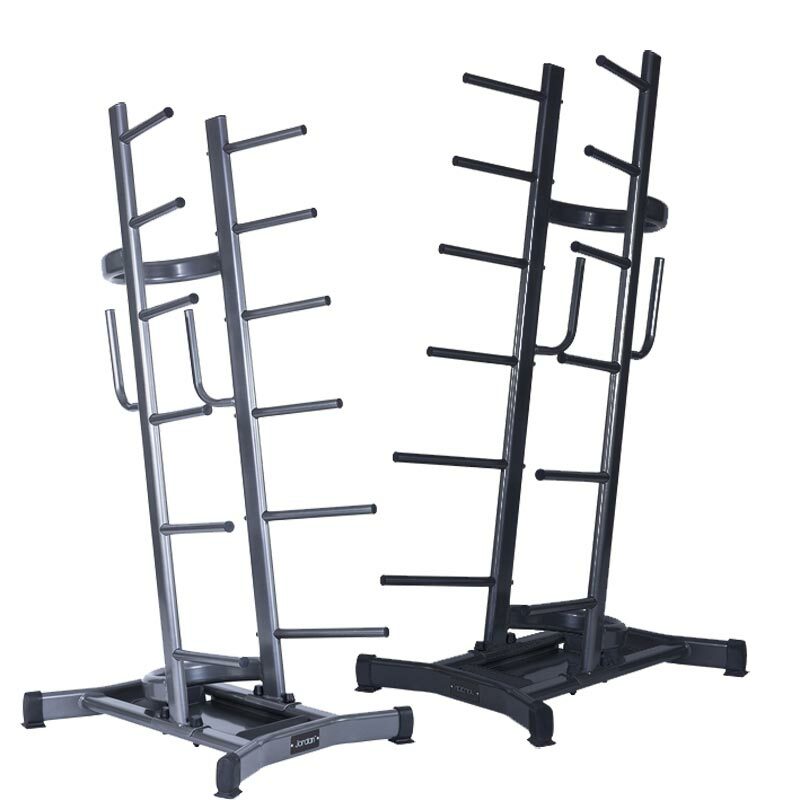 Holds up to 12 pairs of 1.25kg discs, 12 pairs of 2.5kg discs and 12 pairs of 5kg discs.